Swearing, it turns out, is an incredibly useful part of our linguistic repertoire. Not only has some form of swearing existed since the earliest humans began to communicate, but it has been shown to reduce physical pain, help stroke victims recover their language, and encourage people to work together as a team. 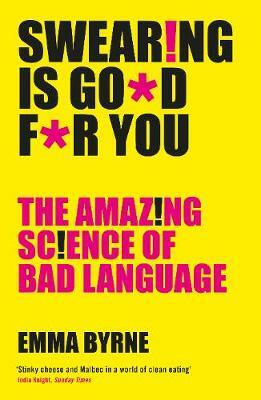 Swearing Is Good For You is a spirited and hilarious defence of our most cherished dirty words, backed by historical case studies and cutting-edge research. From chimpanzees creating their own curse words to a man who lost half his brain in a mining accident experiencing a new-found compulsion to swear, Dr Emma Byrne outlines the fascinating science behind swearing: how it affects us both physically and emotionally, and how it is more natural and beneficial than we are led to believe.